Congress is missing out, too. 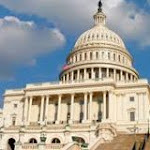 Basic legal legislative work--statutory research, drafting, and analysis--often gets short shrift in busy Capitol Hill offices, reflected in shortcomings in Congress’s legal product. Congress would benefit from the legal training, legislative focus, and energy of these temporary hires in their first years after law school, focused on the core legal work that happens in Congress: legal research and analysis, statutory drafting, and use of congressional procedure. Legislation has been moving in Congress in recent years to establish a legislative law clerk program. This website provides a focal point for our efforts -- and explains how you can help! I completely buy youur ideology and your views about the clerkship program. Congress definitely needs that change for bettremnet. Our youth is really determined to bring about a change.